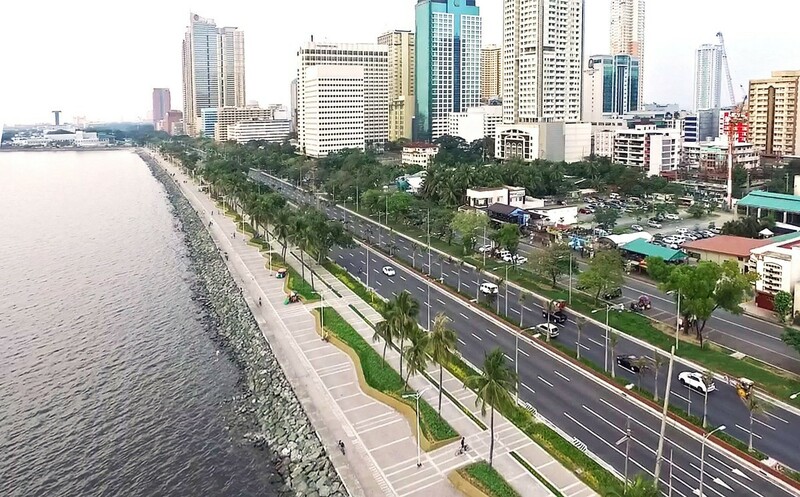 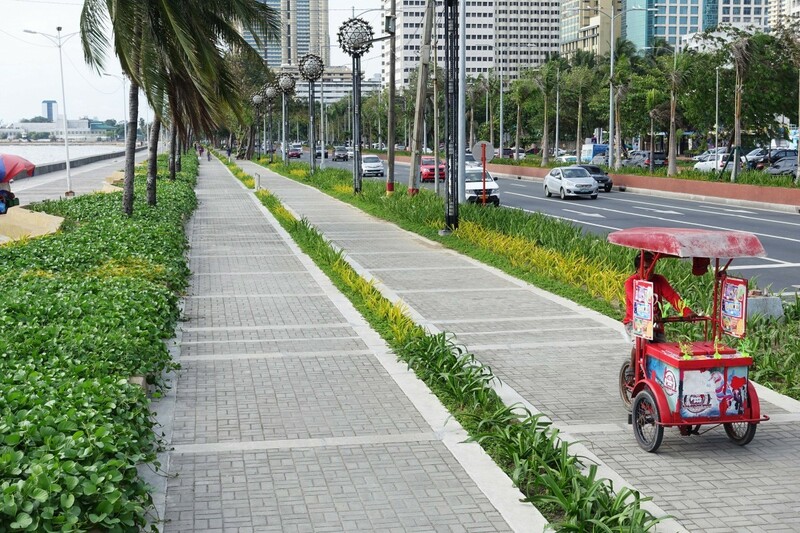 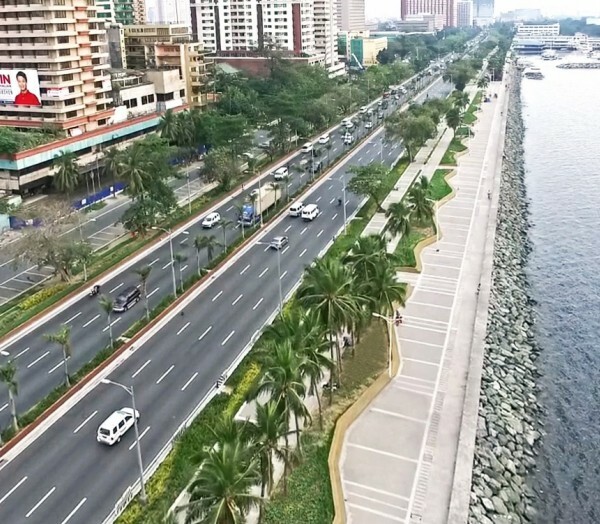 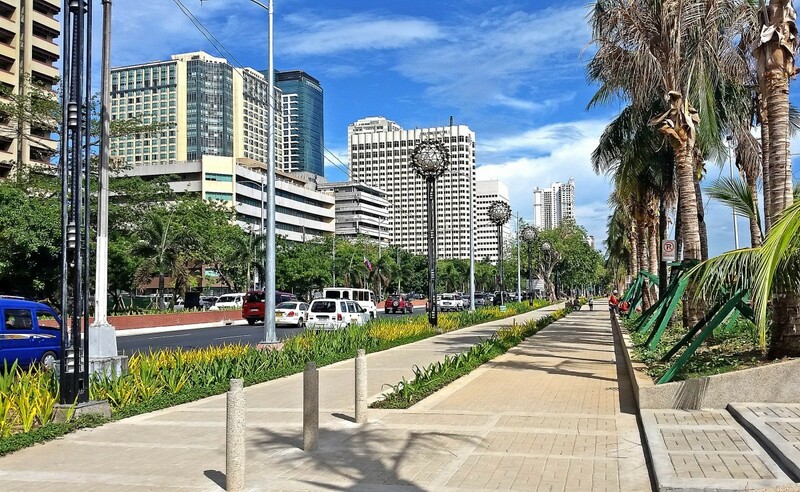 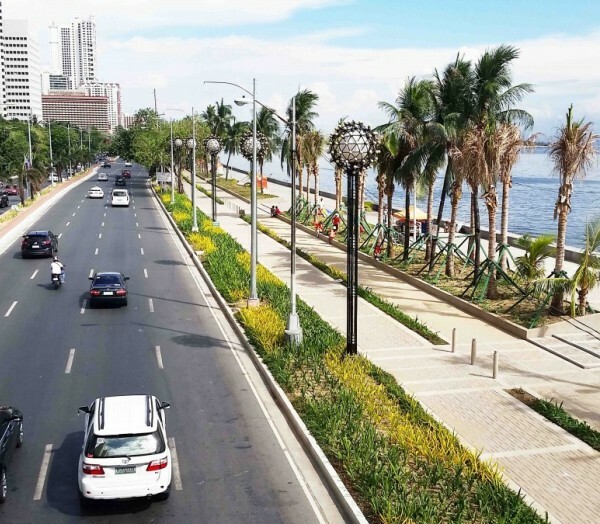 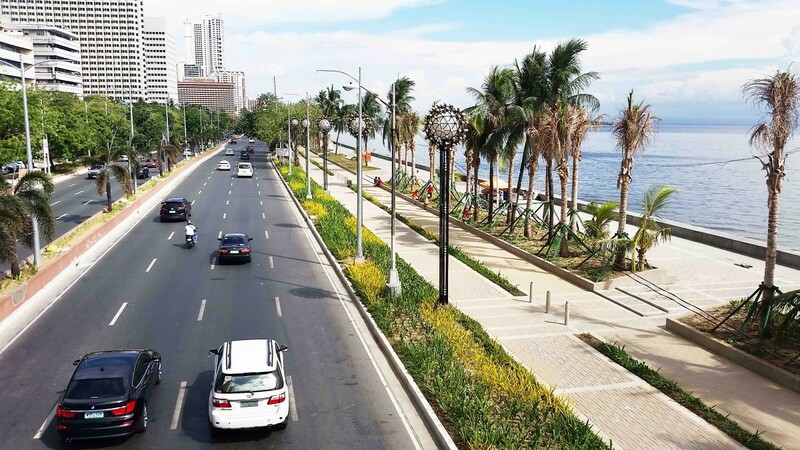 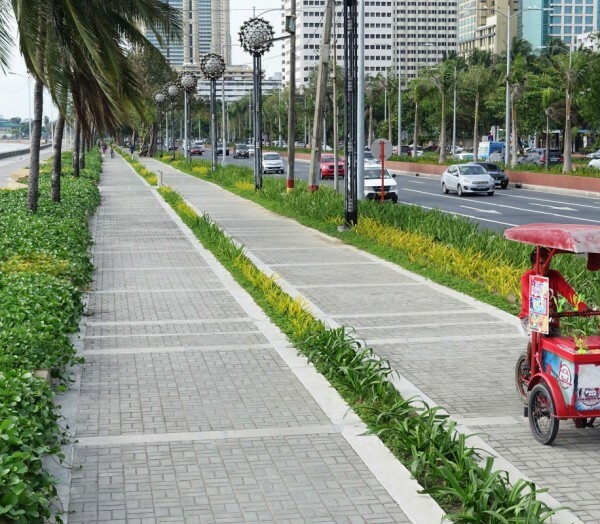 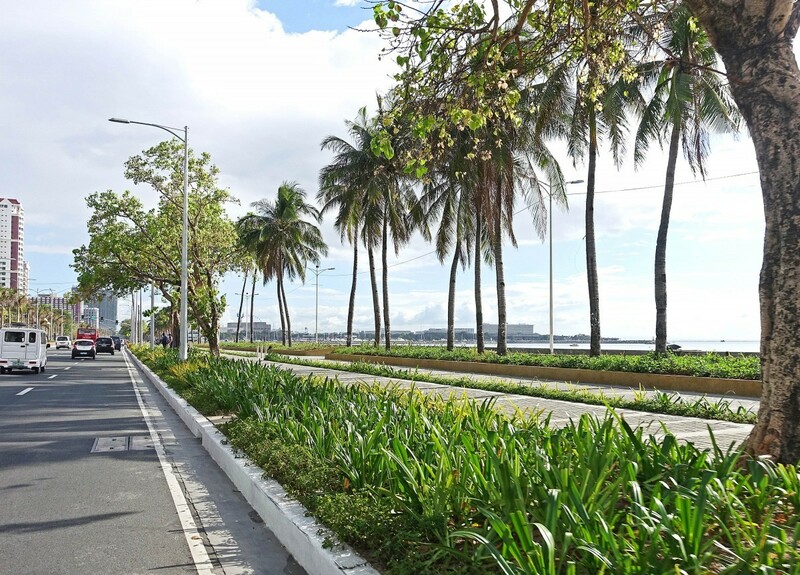 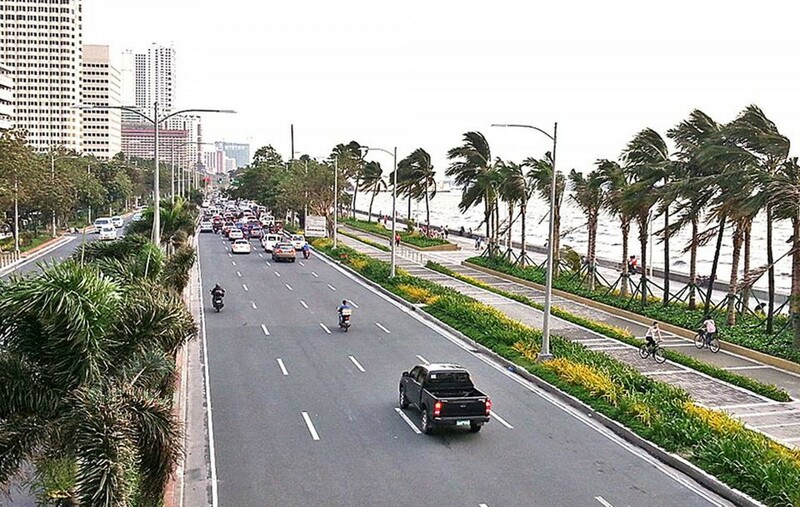 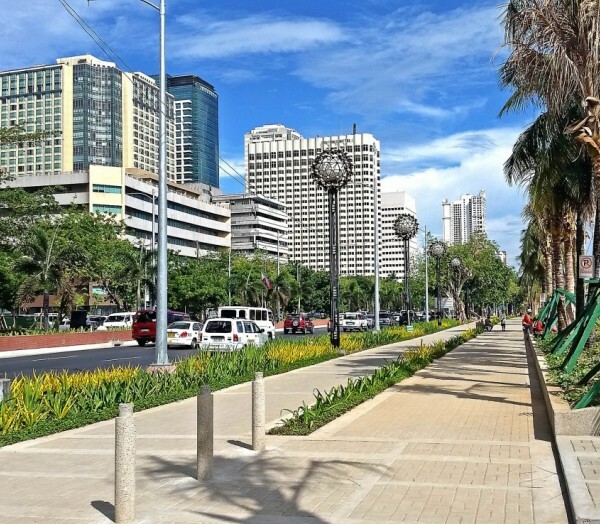 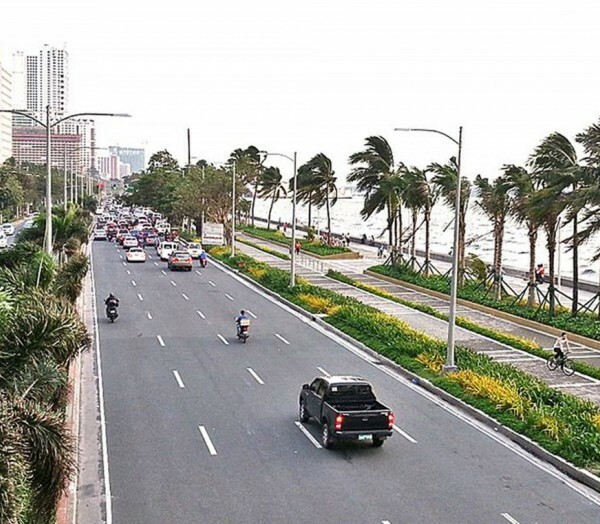 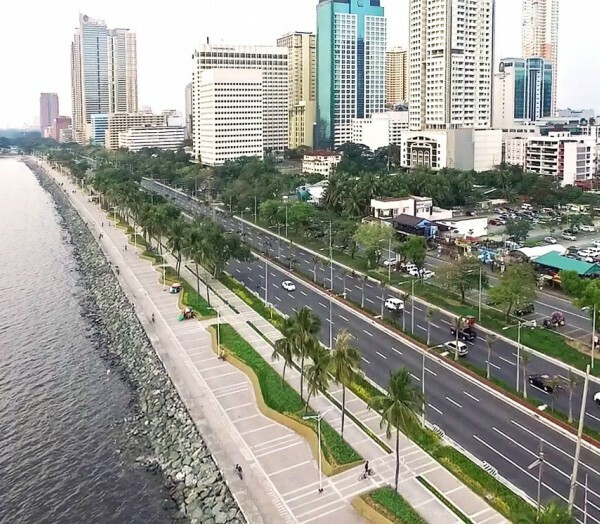 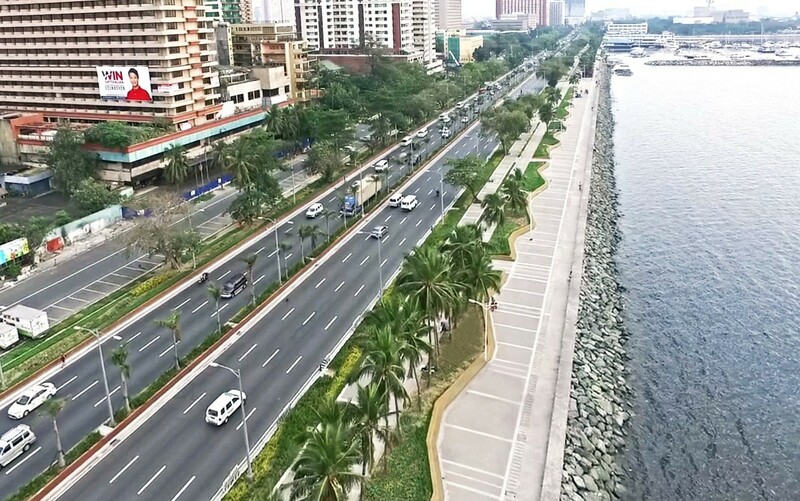 The Roxas Boulevard Redevelopment Project Phase 1 is a 2.4 linear parkway project that improves the original parkway that had deteriorated from the original Dewey Boulevard Parkway laid out by the famous American Planner and Architect Daniel Burnham. 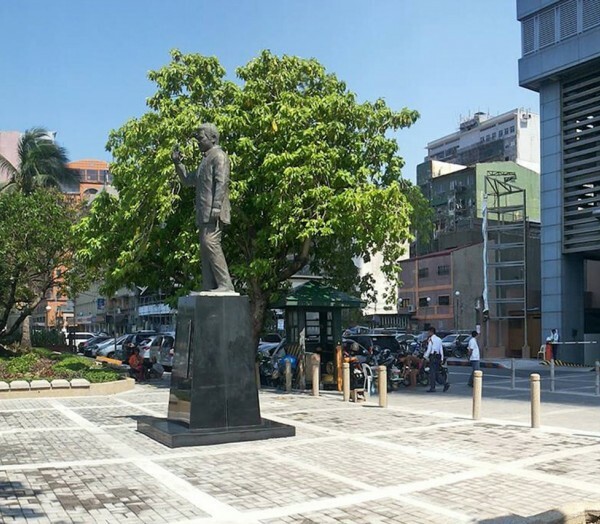 It had been renovated several times after WWII and the last enhancements had fallen to disrepair. 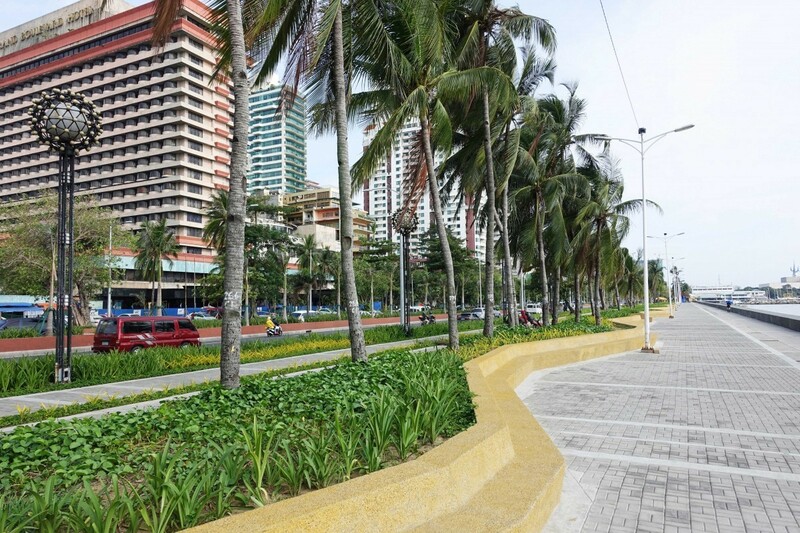 It improves both the seaside as well as the landside of the boulevard. 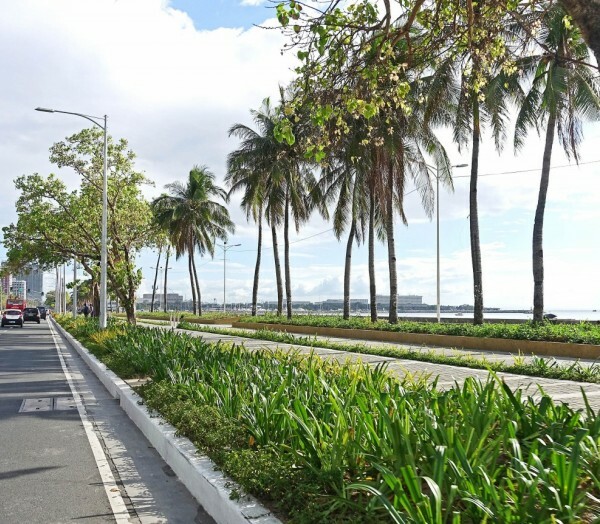 The original Baywalk from the time of Mayor Atienza had deteriorated and the seawall itself damaged in the last storm surge. 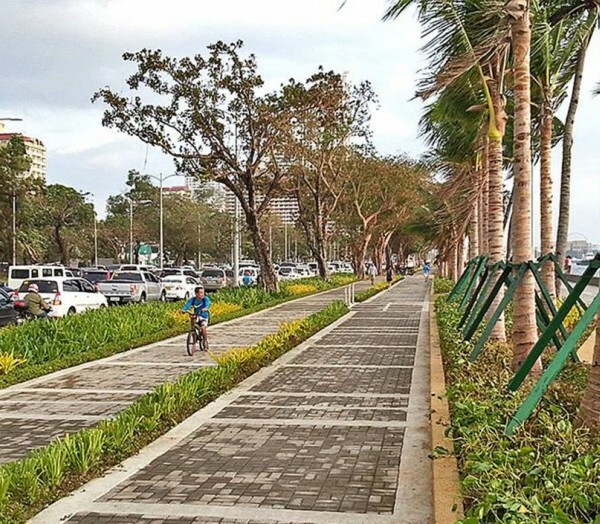 The project provides both the seawall promenade treatment as well as accommodates both jogging and bike paths within its easement. 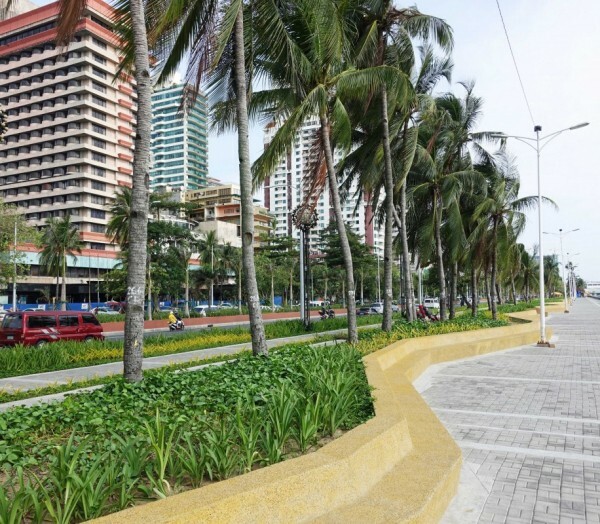 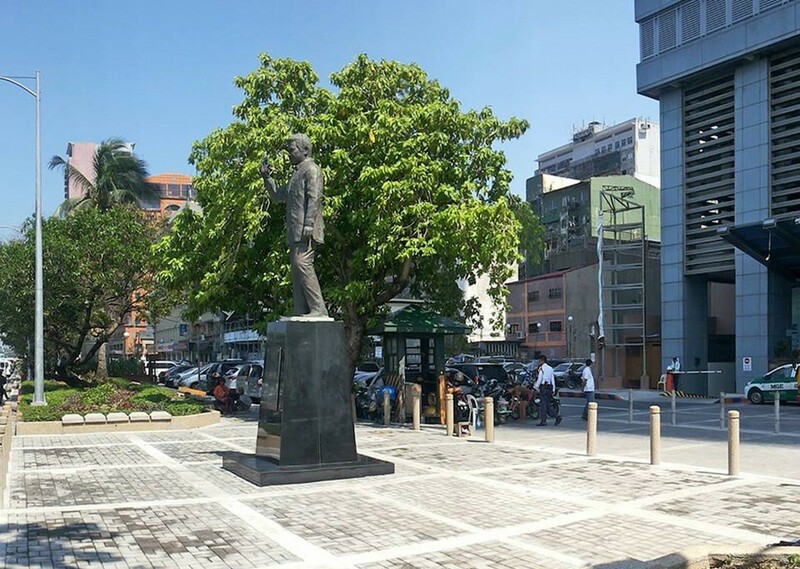 The landside on Roxas Boulevard was also improved by the provision of several small plazas for the one dozen or so statues of presidents and notables. 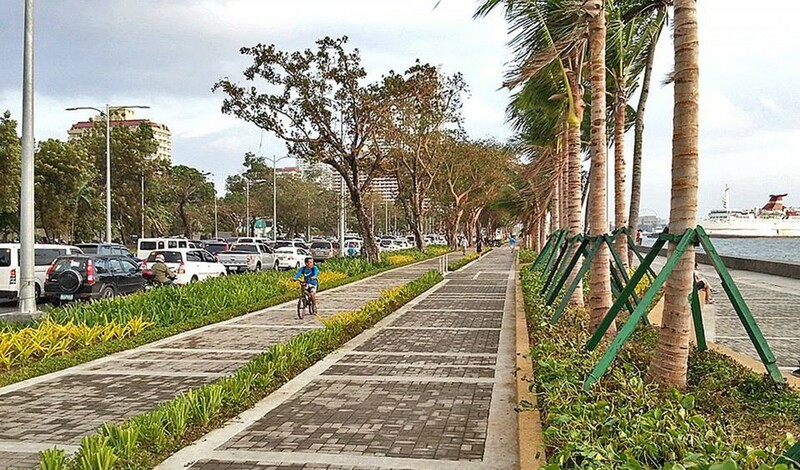 It also rationalized all the parking areas and improved its capacity; all these and still accommodating wide sidewalks for pedestrians on either side.